We have over 10 years experience in the Wedding and Events industry and on behalf of our clients we organise spectacular weddings in Sydney and the surrounding areas including The Hunter Valley, Blue Mountains, Kangaroo Valley, Bowral, Hawkesbury River, Central Coast and beyond. Have you dreamed about having your perfect day but without all the stress? If so then a Full Planning Service is perfect for you! We can take you from engagement until the last guests leave on the night of your wedding. Many couples come to us having started the process already, and that’s great! If you’ve found your venue and set the date but you want someone to help with areas such as styling, supplier sourcing and ensuring the day all comes together our partial planning package can get you the rest of the way with zero stress. For those couples that have organised their wedding themselves but need an extra pair of hands in the month before and on the day. 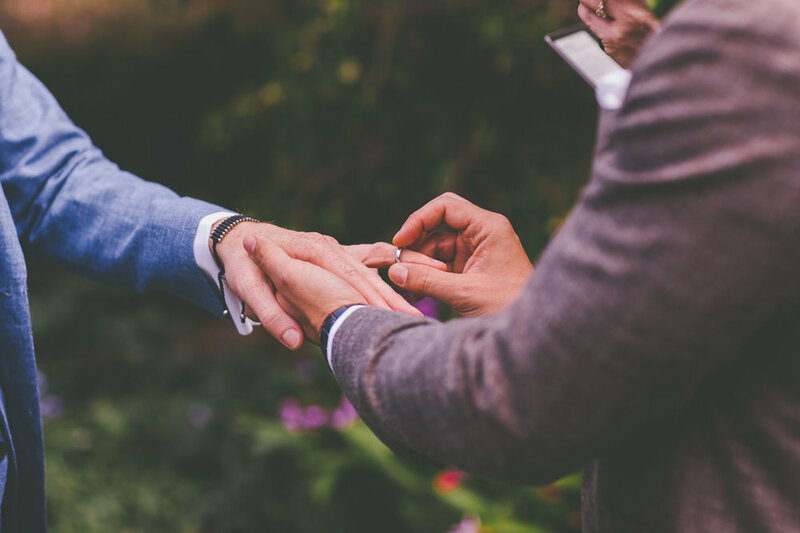 Our wedding coordinators will create run sheets, liaise with suppliers and of course be there as your event manager to ensure your vision is delivered to perfection, allowing you to relax and enjoy your wedding. 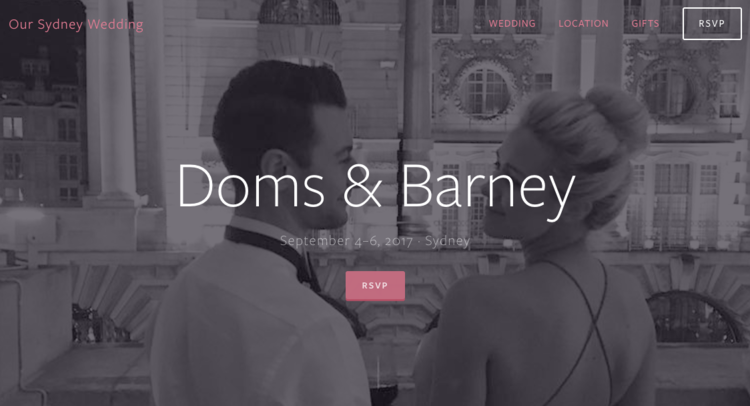 We build beautiful, functional websites that help you tell guests all about your Wedding Day as well as providing RSVP functionality and guest management tools. Simply put, there is no one in the world we’d rather have planned the biggest day of our lives than Samantha. She has an unbelievable eye for style and leaves absolutely no stone unturned for any aspect of the day no matter how small it may seem. Leading up to the wedding, we were feeling a little out of control and overwhelmed with all the organising and thank goodness we found Sam! She was exactly what we needed by helping us feel calm and confident that everything would work out and it was truly the most amazing day. There was nothing but wonderful feedback about Sam’s lovely manner with everyone from our suppliers to our guests. We honestly wouldn’t change a thing and can’t thank you enough for such an incredible, seamless day! We can't recommend Sam highly enough! Right from the moment we met, we knew Sam completely got our vision and understood what we needed to bring all our wedding details together. Sam was enthusiastic, professional, punctual and able to answer all of our little questions. The end result on the day was more than we had expected! Sam took our vision and made it one thousand times more fabulous. 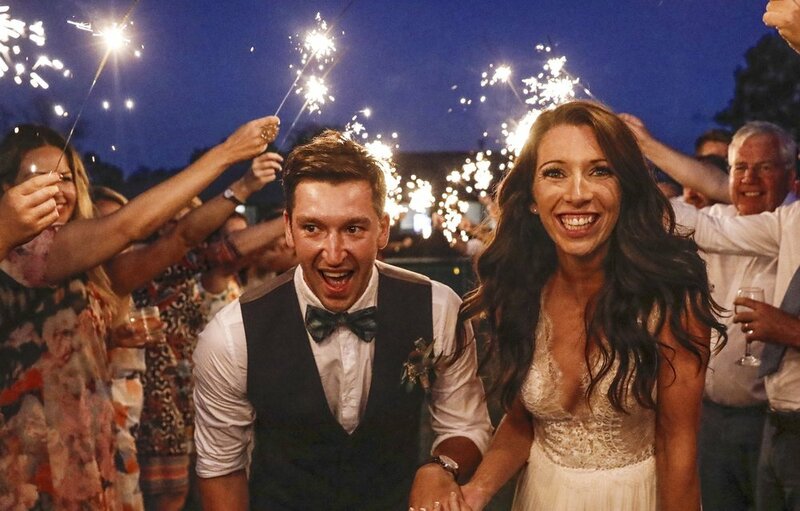 Our guests couldn’t stop raving about our wedding! Send an enquiry using the form below and we’ll get in contact to arrange a time to discuss your big day.